Richard Harris is now chiefly famous for two things: singing the mysterious, melancholy song “MacArthur Park”, which was a huge hit in the late 1960s, and playing the role of Dumbledore in the first two Harry Potter films. He was not especially good as Dumbledore, though in fairness he was in poor health. His singing on “MacArthur Park” is impressive: Harris has an expressive, slightly cracked voice, of great power. But. The song was written by Jimmy Webb, who is among the finest writers of the popular song ever to pick up a quill, but the essence of Webb’s best work is simplicity, economy. That is not the characteristic of the many songs he wrote for and with Harris – they tend to be over-complicated, over-arranged, over-worked. 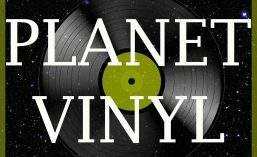 There is great skill in every aspect of these recordings, and millions loved them and still do, but I have followed the Planet Vinyl manifesto – just listen! – and they just are not quite my cup of tea. However, there is a track on this album, a 1973 “best of” package, which is unlike anything else on the record. Indeed, unlike anything else. Generally, when a singer recites a poem it is a false move. But Harris was first and principally, an actor who sang. His first starring role was in the 1967 film Camelot, and that was after years of treading the boards in the West End and on Broadway. Perhaps his singing is overly theatrical? Depends on your point of view. Clearly, though, his theatricality is what gives life to the poem “There Are Too Many Saviours on My Cross”. Harris was Irish, and a Catholic and a Republican, and he wrote this poem about the Troubles in Ulster. If you know the story of that bitter strife, the references will be obvious. If you don’t know the story, it would take too long to explain. But that doesn’t matter. This is about people killing for God, and we have plenty of that going on now, even if the scene and the actors have changed. The voice is that of Jesus, and this is Jesus’ cry of horror, seeing what is being done, ostensibly in his name. For converting me into a bullet and shooting me into men’s hearts. It is not comfortable listening, but though it is addressed the Ireland of 1973, reeling from Bloody Sunday, it speaks just as much to our world. LP Title: His Greatest Performances.